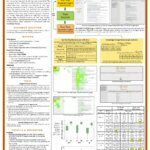 My research interests span human-computer interaction (HCI), human-information interaction (HII), and applied (deep) machine learning in HCI. Google Scholar has an up-to-date list of my papers. You can also find them in my CV. Links to all my academic and professional profiles are given below. We investigate the relationship between search behavior, eye -tracking measures, and learning. We conducted a user study where 30 participants performed searches on the web. We measured their verbal knowledge before and after each task in a content-independent manner, by assessing the semantic similarity of their entries to expert vocabulary. 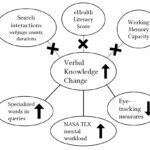 We hypothesize that differences in verbal knowledge-change of participants are reflected in their search behaviors and eye-gaze measures related to acquiring information and reading. Our results show that participants with higher change in verbal knowledge differ by reading significantly less, and entering more sophisticated queries, compared to those with lower change in knowledge. However, we do not find significant differences in other search interactions like page visits, and number of queries. We conducted an eye-tracking study where 30 participants performed searches on the web. We measured their topical knowledge before and after each task. Their eye-fixations were labelled as “reading” or “scanning”. The series of reading fixations in a line, called “reading-sequences” were characterized by their length in pixels, fixation duration, and the number of fixations making up the sequence. We hypothesize that differences in knowledge-change of participants are reflected in their eye-tracking measures related to reading. Our results show that the participants with higher change in knowledge differ significantly in terms of their total reading-sequence-length, reading-sequence-duration, and number of reading fixations, when compared to participants with lower knowledge-change. 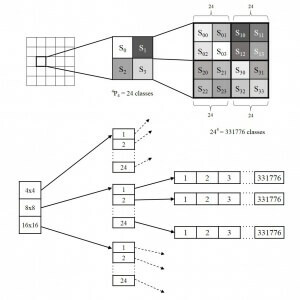 In fractal image compression (FIC) an image is divided into sub-images (domains and ranges), and a range is compared with all possible domains for similarity matching. However this process is extremely time-consuming. In this paper, a novel sub-image classification scheme is proposed to speed up the compression process. The proposed scheme partitions the domain pool hierarchically, and a range is compared to only those domains which belong to the same hierarchical group as the range. Experiments on standard images show that the proposed scheme exponentially reduces the compression time when compared to baseline fractal image compression (BFIC), and is comparable to other sub-image classification schemes proposed till date. The proposed scheme can compress Lenna (512x512x8) in 1.371 seconds, with 30.6 dB PSNR decoding quality (140x faster than BFIC), without compromising compression ratio and decoded image quality.